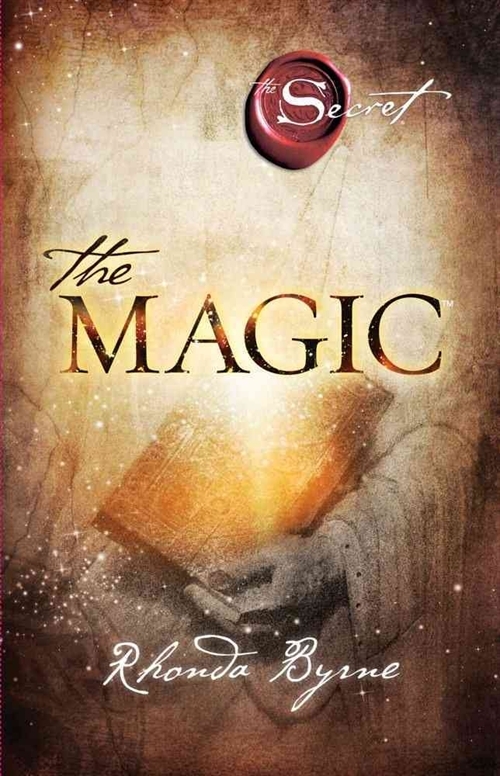 The Magic, the new book by Rhonda Byrne | Law of Attraction Plus: The Secret revealed! When we first learn The Secret it is a defining moment in our life. We realize that everything we have experienced in our life was an effect, and that we caused those experiences through our thoughts and feelings. In one incredible moment we come face-to-face with the fact that we have been the cause of many good things in our life, but we have also unintentionally brought pain and suffering to ourselves. At the same time, we realize that the future is entirely in our hands, that every possibility can be realized, and that we can easily change anything and everything in our life - through our thoughts and feelings. But this world we live in, with its dazzling special effects of people, circumstances, and events, can be a very distracting place, and if we don't practice what we've learned, the greatest discovery of our lives will slip through our fingers. With the loss of that discovery, our lives will fall back into negativity. To ensure that this never happens to you, I wrote a new book. It's called The Magic. In The Magic I disclose a piece of life-changing knowledge that is hidden within a two thousand-year old sacred text. Then, on an incredible, 28-day journey, I teach you how to apply this knowledge in your everyday life. If you want your life to touch the stars and be breathtakingly magical, it can be. If you want to change anything in your life, know that there are no limits to what you can change it to... by putting the precious knowledge contained in The Magic into practice!